Once again the EU Technocrats are sticking their oar in. In all reality it would be better for us to just give them the Churchill Salute and go our separate ways and negotiate a trade agreement. But we all know the outcome, dithering Dave will bend over and take one up the proverbial for the country once again. When will cast jelly Dave realise that the country will be better off out of this political union, while we are still in it he is leader in name only. More of a provincial governor than a PM of the once great country we live in. If this gets drawn out any longer old Cast Ironic Dave and his bff's, Cleggy and Millipede,will be popping over to Strasbourg and begging for forgiveness and promising more of British taxpayers money to pay fines etc. 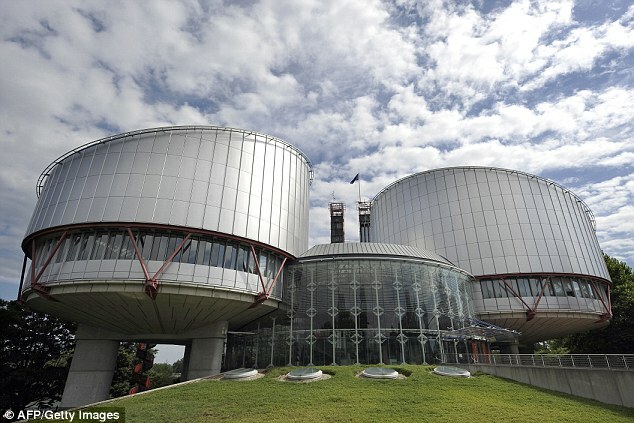 Britain was yesterday threatened with having to quit the European Union if it refuses to 'kowtow' to Strasbourg's human rights judges.The warning was delivered by the new head of the European Court of Human Rights, amid an increasing determination among Tory Cabinet ministers to leave its jurisdiction.Judge Dean Spielmann, from Luxemburg, also insisted that ministers had a duty to grant the vote to prisoners. His intervention once again puts the unelected court on a collision course with Westminster.Technically, the EU and the European Court of Human Rights are separate institutions, with the ECHR overseen by the 47-member Council of Europe.But Mr Spielmann opted to combine two of the most explosive issues in British politics by saying that, if we want to leave the court, we may also have to exit the EU. His logic was that quitting the court would mean also exiting the Council of Europe. 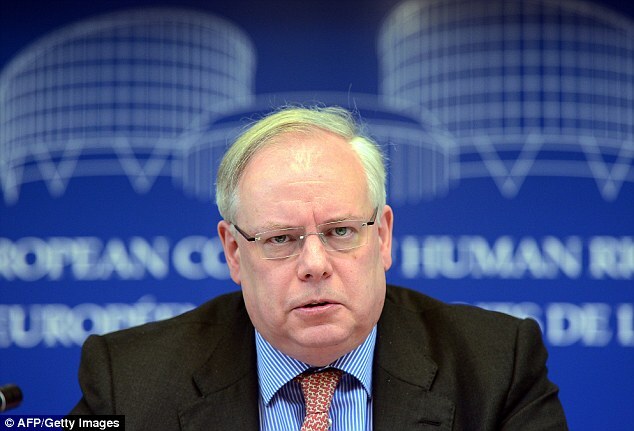 He added no state had ever been a member of the EU without first joining the council.Mr Spielmann said: 'That would plainly be a political disaster. 'Any member state who would leave the Council of Europe, who would denounce the convention, would lose its credibility when it comes to promoting human rights also in different parts of the world. 'Last night, MPs said they would not give in to threats - particularly where they involved Britain's membership of the EU. Tory backbencher Dominic Raab said: 'Mr Spielmann had no previous judicial experience before ascending to the heights of this European ivory tower, and it shows. 'The only thing undermining the credibility of the Strasbourg court are the Mickey Mouse judgments it spews out. He and the other judges should take a long hard look in the mirror before complaining about British democracy. ''If Mr Spielmann thinks threatening to kick us out of the EU is going to persuade anyone in Britain to kowtow to the perverse rulings of the Strasbourg court, he's got another thing coming'Dominic Raab, Tory backbencher He added: 'If Mr Spielmann thinks threatening to kick us out of the EU is going to persuade anyone in Britain to kowtow to the perverse rulings of the Strasbourg court, he's got another thing coming. 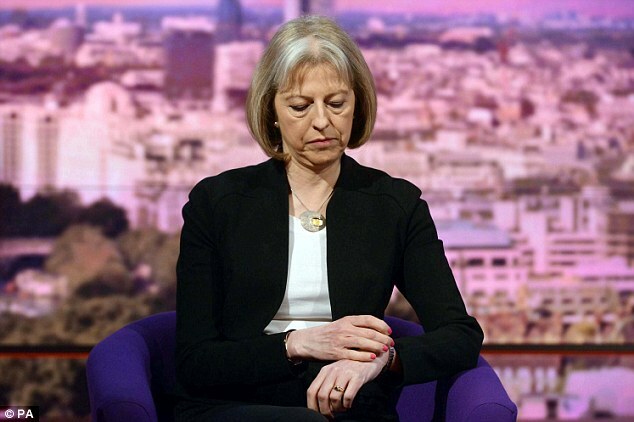 'Home Secretary Theresa May has said the UK should consider its relationship with the European court after a string of adverse judgments.These include blocking the deportation of Al Qaeda hate-preacher Abu Qatada and the long-running battle over whether convicts must be allowed to vote.Chris Grayling, the Justice Secretary, has also discussed walking away from the court. This would allow the final say to rest with Britain's better qualified Supreme Court.Judge Spielmann told BBC Radio Four that all decisions reached by his court must be respected - including prisoner votes.